Drive through the ancient temples of Angkor on a vintage Vespa accompanied by a former monk and resident of an Angkorian monastery. Meet your private driver and then climb onto the comfortable backseats of the vintage Vespas for a journey through Angkor. 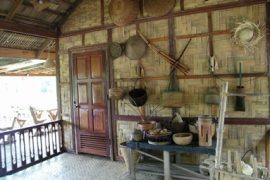 Throughout the tour learn more about the unusual life of Ms Akim who also shares more in-depth knowledge on the history and stories behind the ancient temples. Your host today has had a fascinating upbringing. A former monk and now a successful business woman, Ms Akim grew up in a monastery nestled within the walls of Angkor Wat. She was raised by her grandfather, the last of three generations of the Chief Monks of the entire Angkor Wat complex. 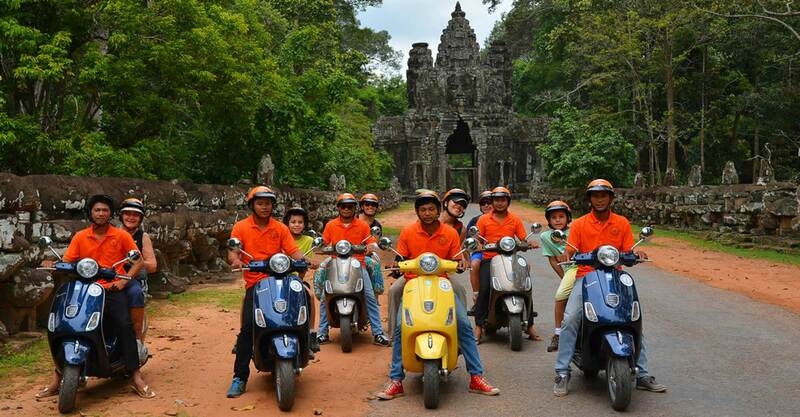 Meet your drivers and then climb onto the comfortable backseats of the vintage Vespas for a journey through the city of Angkor, and through Ms Akim’s life, as she takes you to the places where she grew up. 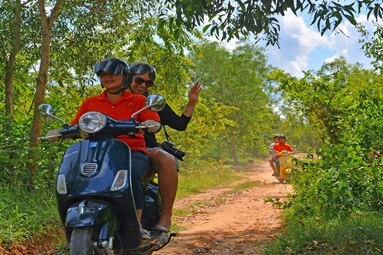 Travelling by Vespa allows you to navigate narrow roads that the tourist coaches cannot pass through, and offers a much closer look at the ancient sites. Stop at temples that take your interest and hop off the bike whenever a unique photo opportunity arises. 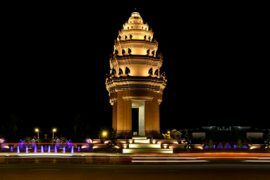 Throughout the tour Ms Akim will tell you about her unusual life and give an overview on the history and stories behind the ancient temples. 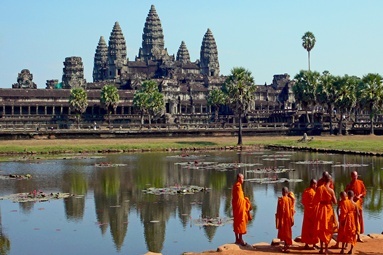 Whether new to Angkor or a returning guest, this tour gives a great introduction to the temples and will allow you to decide which other tours to book for a more in-depth look at your favourite sites.